Before I visit any new city, I love setting up a rough itinerary for each day. I want to make sure I don't miss any attractions and that I get the chance to try the best restaurants and local cuisines. I usually spend hours (or sometimes days!) trying to get everything in place. I've learned that I'm not the only one that loves to build a daily itinerary. My visitors often ask questions about their plans and the best way to tackle everything there is to see in the city. Due to so many requests, I decided to build several one-day itineraries for you to use. Each one includes a detailed walking route with tips and a few alternative options along the way. Most include quite a bit of walking, so make sure you wear comfortable shoes. You will also want to bring along a few layers of clothing as the weather in the city can change from one neighborhood to the next. If you are visiting San Francisco for the first time, you will want to start with these multi-district itineraries. They will take you to the top attractions throughout the city in just a few days. This neighborhood is the most popular for visitors and I can see why! It's filled with fun attractions including Pier 39, the Hyde Street Pier and Ghirardelli Square. 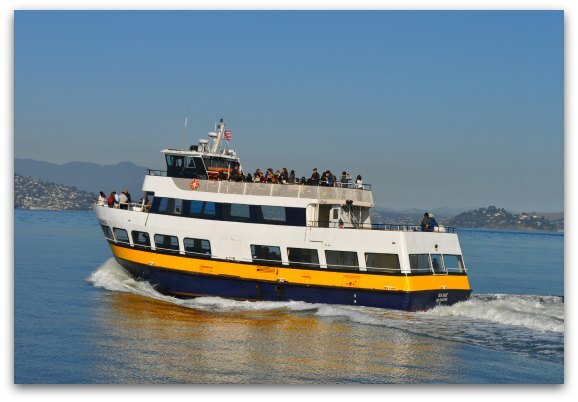 From Fisherman's Wharf, you can also grab a cruise on the San Francisco bay or a ferry to Alcatraz Island. North Beach is another fun district to visit. I love the amazing Italian delicacies as well as the historical events that took place here. On this one-day walking tour, you get the chance to see Coit Tower, sample a few Italian treats and learn more about the popular hangouts of the Beat Generation. I often refer to Chinatown as a 'city within a city.' The moment you step inside this district, you feel the excitement as if you just arrived in another country. My 'perfect day' itinerary for Chinatown includes a visit to several working temples, the best places to sample Dim Sum and tips on where to shop for inexpensive items. The Nob and Russian Hill districts sit side by side on top of two steep hills. I love the beauty of both neighborhoods and all the fun things there are to see. Your one-day tour for these two districts includes a visit to Grace Cathedral, the Cable Car Museum and Lombard Square. It also includes a couple of hidden gems that you might not visit otherwise. When I visit the Mission, I can't wait to see its beautiful murals and sample its tasty (yet inexpensive) Mexican cuisine. It's another colorful and vibrant district that is a must see. On my 'perfect day' in the Mission, I take you through the oldest building in San Francisco, walk you down the path to find dozens of its murals and introduce you to some of the best places to eat. When I think of 'classic' San Francisco, the Pacific Heights neighborhood comes to mind. With it's beautiful Victorian homes and multi-million dollar mansions, it's the SF you see on TV and in the movies. In Pacific Heights, I introduce you to Billionaire's Row, the gorgeous Lyon Street Stairs and the historic Haas Lilienthal House. You also get the chance to do a little shopping and savor meals from some of my favorite restaurants. Sitting right on the San Francisco Bay, the Marina district is another amazing neighborhood. It offers incredible views of the Golden Gate Bridge, Alcatraz Island and the shores of Sausalito. On today's adventure, I take you for a walk on the Golden Gate Bridge, create a picture perfect moment at the Palace of Fine Arts and show you everything the Fort Mason Center has to offer. 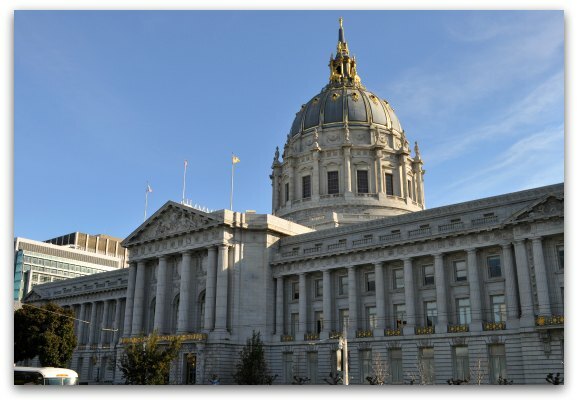 The Civic Center and Alamo Square districts sit in the heart of San Francisco. Many people will recognize these two neighborhoods as they house SF's City Hall and the famous Painted Ladies. Today's tour takes you to see both of those attractions as well as a visit to the Asian Art Museum. You will also start your day at one of my favorite brunch spots and end it at one of the best pizza places in the city. In this 1,000+ acre beauty, you will find more than a dozen SF attractions. You could spend several days here without seeing it all! On my one-day self guided tour, you get the chance to visit the California Academy of Sciences, admire the Japanese Tea Gardens and learn about the plants of the world in the Botanical Gardens. You also get the chance to try out a Segway tour and hang with the locals in the Inner Sunset district. A small and often overlooked district in SF is Japantown. This cute area offers shopping for traditional Japanese items, yummy Japanese cuisine and a history walk around the district. On this one day tour, you will find out all there is to do in this neighborhood including the best places to shop, where to grab the tastiest lunch and how to participate in their free self-guided historical walking tour. Are you looking for the best way to experience SF's famed LGBT district in just one day? This colorful neighborhood offers shopping, an LGBT dedicated museum and a few other fun attractions. Come along with me as I take you through this fun, yet sometimes controversial area. Along the way, you will visit some of the most talked about places such as the Castro Theater and learn about its most famous resident Harvey Milk. 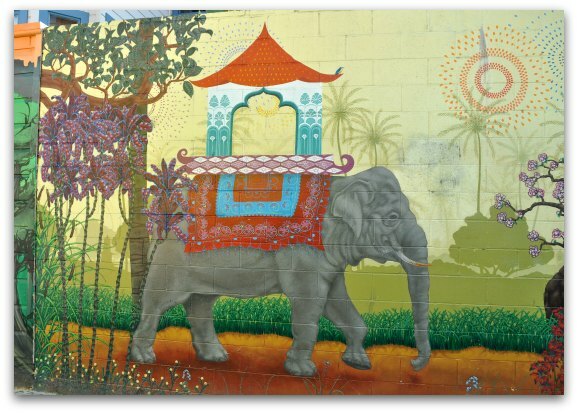 Step back in time on this one-day walking tour around the Haight Ashbury district. This popular SF neighborhood hosted the 1967 Summer of Love Festival and was also home to many famous muscians of the time. During this self-guided tour, I will introduce you the Haight's gorgeous Victorians, take you by the houses where some of its famous residents lived and show you the amazing views from the top of Buena Vista Park. I'll also give you recommendations on where to eat, shop and a few other tips to make the most out of your day here. If you love being outdoors and want to get your heart pumping, then check out this fun itinerary for the Presidio. Your day starts with an introduction to Walt Disney and how he turned his cartoons into a multi-million dollar business. From there, you will visit the National Cemetery, hike through the Presidio to the Coastal Trail and then admire the amazing views of the Golden Gate Bridge from Baker Beach. This is a fun day with quite a bit of hiking. (However, I also added a few options to get around faster for those not able to walk as far).